Here in this post, we are going to bring to you steps to join institute of administrators and researchers in Nigeria. We hope you find this informative. The institute of administrators and researchers of Nigeria is a chartered body which is in charge of all administration personnel in Nigeria and they are the regulatory body in charge of any laws or protocol concerning the practice of administrators and anything that deals with researching in the country. Just as everybody in Nigeria seeks towards attaining professionalism in all areas of practice of their profession, this comes to say that every administrator or researcher has the capacity to be a part of a professional body which regulates the practice of the profession in Nigeria. Just like ICAN and IPMAN are regulatory bodies in charge of accountants and managers in Nigeria, so also is the ICARN in charge of administrators and researchers in Nigeria. The Institute Chartered Institute of Administration is a professional and examining body chartered by Federal Government Act No. 103 of 1992 (now Act of National Assembly Cap.C7 Laws of Federation of Nigeria 2004). The Act empowers the Institute to regulate the training in, and practice of, Administration within a professional framework throughout Nigeria. The College Nigerian College of Administration is the Institute’s statutory Professional Education and Training School, offering registered studies prescribed courses of study for the Institute’s professional examinations, and other related programs. Its Vision is to be the reference body in the science, art and regulation of the practice of administration in Nigeria. Research consultancy/administration consultancy in the area of recruitment and training. Practical experience in the industry. Periodical provision of sound professional training to members to update and equip members. Additional educational/professional qualification, eg CFIAR after your names. 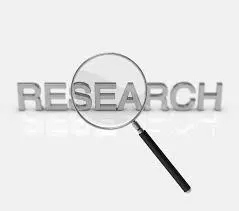 Influencing government policies in the interest of the general public as far as research, development and administration are concerned. Members of the institute are drawn from tertiary Institutions in the country and other sectors of commerce and industry including the public service. Membership is open to seasoned and experienced administrators who have distinguished themselves in their various careers, either in politics, engineering, academics, finance, general research and administration with empirical proofs both in private and public sectors of the economy including those who are holding strategic leadership roles in their organizations. Hajiya Zainab Maina, appointed Minister of Women Affairs and Social Development in July 2011, is a Fellow of the institute (FCIA). King Emmanuel Adebowale Adebayo of Emure Ekiti, formerly the Nigerian Chief of Police, is another fellow of ICARN. Chief Richard Onwuka Egbule, appointed chairman of the National Salaries, Incomes and Wages Commission in August 2009, is a Fellow. The poet Tochukwu Callistus Ipere is a distinguished graduate of the ICARN. As an intending member, there is a need for you to know the various grades or stages of being a member of the body. It is open to organizations that engage in producing/selling/promoting goods or services thereby embarking on research and administration in Nigeria. Such organizations shall be admitted as corporate members at the discretion of the Governing Council of the Institute. The Honorary Fellowship award of the Institute is a practical professional award to outstanding achievers, authorities and successful practitioners of administration and research in Nigeria and elsewhere. The selection of persons for the award is purely at the discretion of the Governing Council of the Institute. All persons awarded the Honorary Fellowship of the Institute are regarded as patrons and Grand Patrons of the institute and accordingly, they are not bound by the Institute regulations and Mandatory Continuous Professional Education (MCPE) programs and annual subscription payment. They are however expected to continue to assist the professional and infrastructural development of the Institute. This membership is open to persons of eminent achievement in the practice of Administration and Research who occupy prominent positions in the field of Administration and research or contribute outstandingly to administration and research knowledge or they have been Full Members of the Institute for a minimum of five (5) years. This grade of membership is open to persons not less than 35 years of age and possess minimum of HND/Bachelors’ Degree or equivalent qualifications or Professional qualifications with a minimum of seven (7) years and above working experience as functional Administrators and Researchers or they have been Associate Members for a minimum of 4 years. By Examination: As soon as a student member passes all the parts of the qualifying examinations and also satisfies all other requirements as may be prescribed by the Governing Council of the Institute, they shall be admitted to the grade of Associate Membership. For you to be a member of the ICARN, you will have to register for an examination under the body to join. Candidates who have successfully completed the professional membership qualifying examination of the Institute, and met other requirements will be inducted in the grade of Associate member. 2. Candidates for Direct Membership should submit completed Direct Membership Application Form obtainable at the Institute’s offices or downloaded on their website, accompanied with the required supporting documents; as well as bank deposit slip of ₦ 10,000 non-refundable compulsory processing fee paid into the bank account of the Institute with Zenith Bank (A/C No. 1010155991).